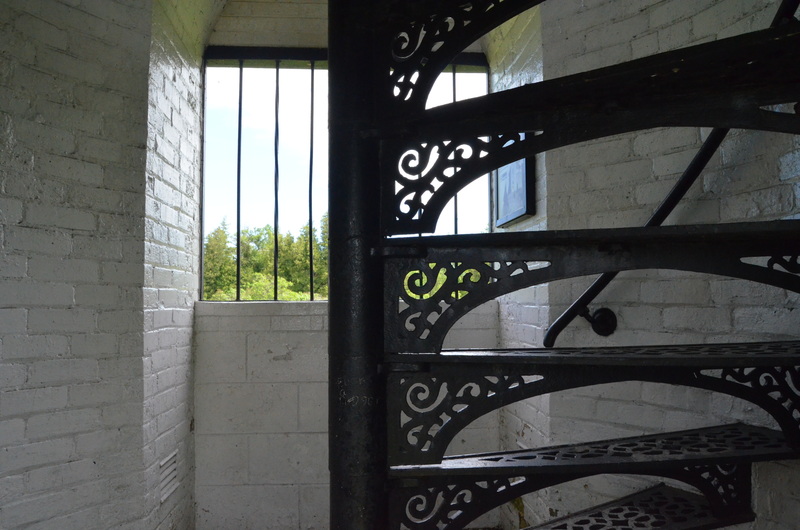 The Peninsula Point Light is one of the Upper Peninsula less-visited lighthouses, but the drive in to this remote beacon is worth the reward for the stunning scenic views that can be found at the top of the lighthouse tower. 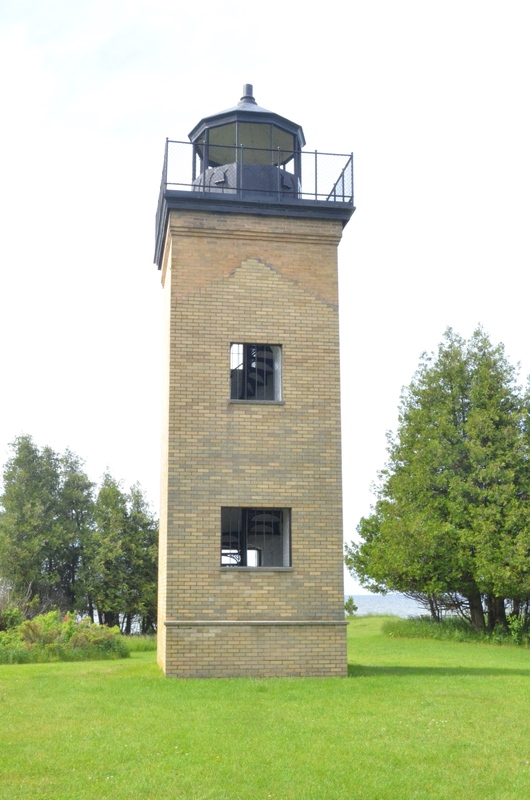 A lighthouse was first constructed here at the end of the Stonington Peninsula to warn mariners of the dangerous shoals in the area and help guide marine traffic into Escanaba and Gladstone. 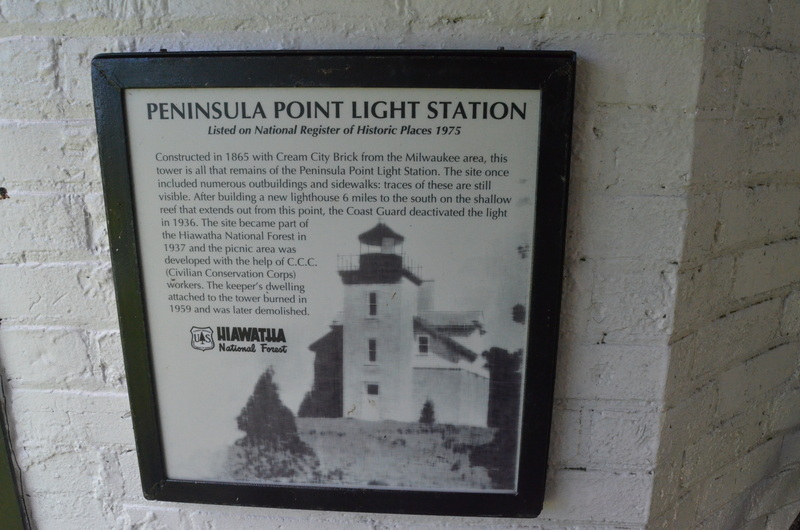 The Peninsula Point Light served as an active navigational aid until the 1930s. The attached dwelling burned down in the 1959 and today only the tower remains. 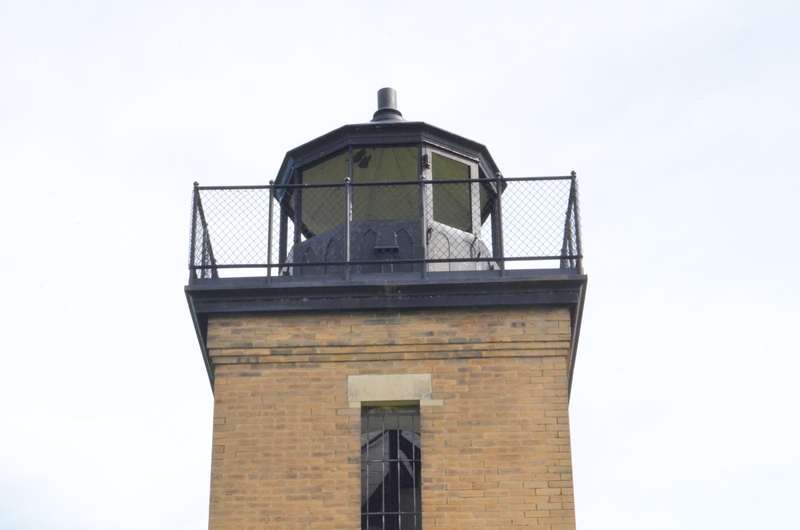 The tower is constructed of yellow brick and stands 40 feet tall, capped with a black lantern room. 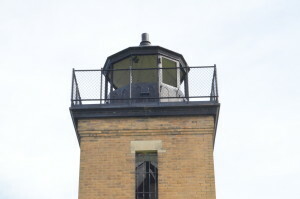 The top of the tower provides great views of Escanaba, Lake Michigan, and the Minneapolis Shoal Light (when weather permits). 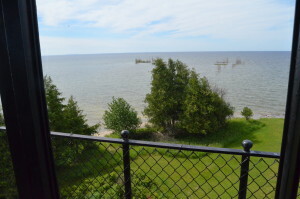 The area near the lighthouse is also an important one for migrating monarch butterflies. Each fall, thousands of butterflies rest here before making the trek across Green Bay. 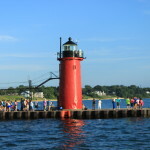 The peninsula is also a busy one for migrating birds, similar to Whitefish Point and Tawas Point. 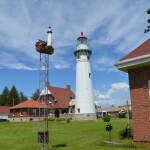 The National Forest Service monitors the butterfly migration annually and will occasionally post updates on their Facebook page. 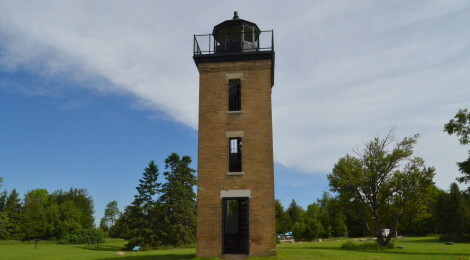 To reach the lighthouse, head east from Rapid River on US-2 for three miles. 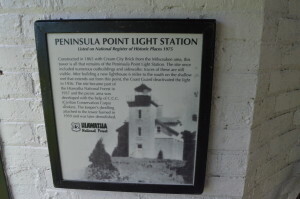 Turn south onto CR-513 and follow the square brown signs with a picture of the lighthouse for a little more than 17 miles to the end of the peninsula. 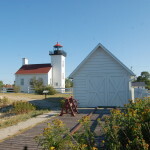 The last mile of the road can be rough and is quite narrow, so a parking area is located here for larger vehicles. The Hiawatha National Forest maintains the lighthouse grounds as a picnic and day use area. 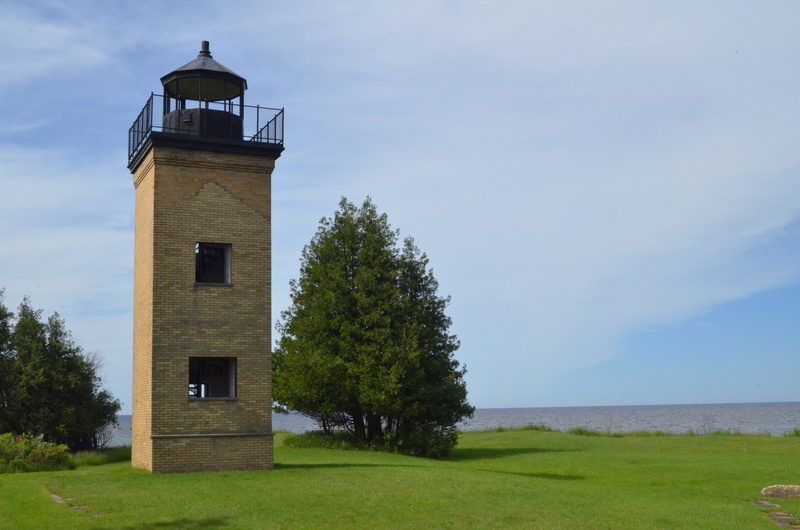 We featured the Peninsula Point Light as stop #32 on our Ultimate Michigan Lighthouse Road Trip: Upper Peninsula – a guide to visiting 34 lighthouse in Michigan’s Upper Peninsula. 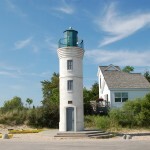 Nearby lighthouse include Seul Choix Point Lighthouse, Sand Point Lighthouse, and the Manistique East Breakwater Light.